We all know that Geological Time is measured very differently from the time we measure daily by virtue of clocks, watches, and a calendar or even by watching the passing of the sun. 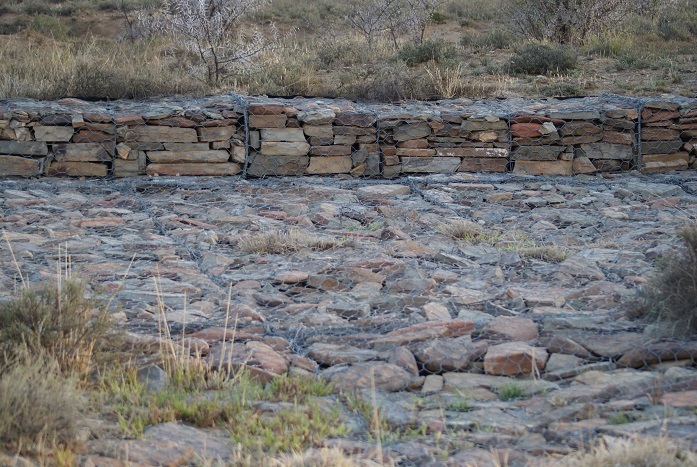 The International Union of Geological Sciences held their 35th Annual Congress in Cape Town in 2016. 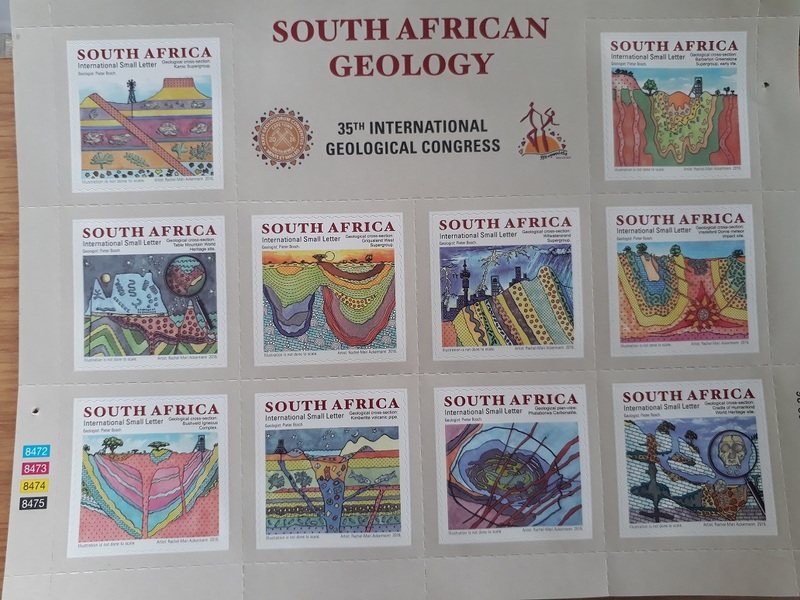 I bold that date for this prestigious event was commemorated by the South African Post Office in the form of international postage stamps – a good choice in terms of exposure. 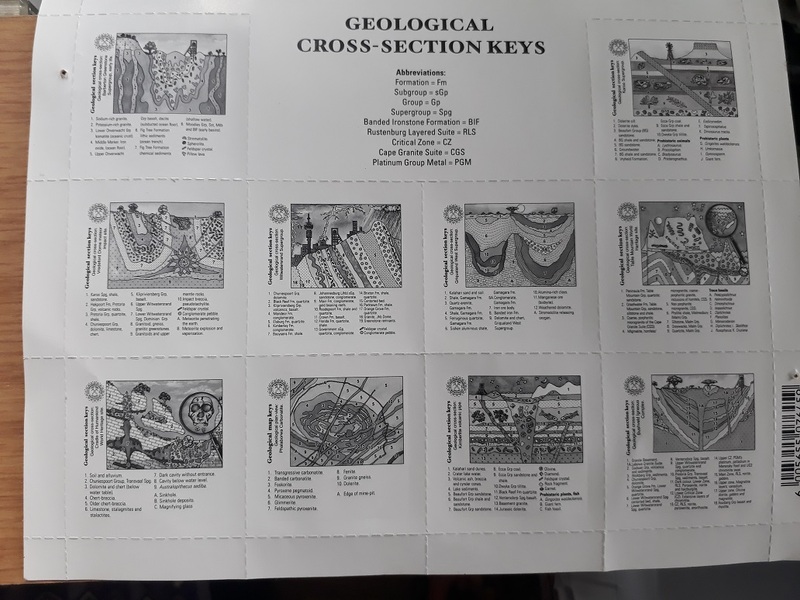 These stamps are finely detailed in colour and what is unusual about them is that on the back of the sheet are black and white drawings with the key to what each stamp reveals. Behind the times? Well, the first time I set eyes on these stamps was about a month ago when I finally managed to wiggle some international stamps from the post office – this is in 2018! Where have they been in the interim? Languishing between the pages of stamp books because so few people actually buy stamps anymore? Did someone forget to send them to post offices outside the main centres until the event was long past? This is symptomatic of a postal service that seldom delivers anything on time – if at all! The homeland of Venda in the north east of South Africa close to the Zimbabwe border was granted independence in 1979. 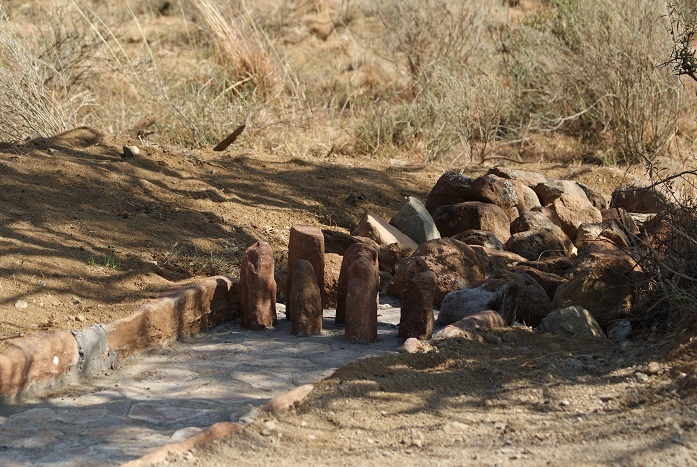 It also bordered the Kruger National Park and its capital was Thohoyandou. All the homelands were re-incorporated into South Africa in 1994. Of interest to us is that the area is home to several species of aquatic birds and this first day cover from 1987 features two ducks, two geese and a teal. The first of these is what used to be known as the Knob-billed Duck but is now known simply as the Comb Duck (Sarkidiornis melanatos). These large ducks have a speckled head with contrasting blue-black and white plumage. Only the males sport a rounded knob on the bill, which grows larger during the breeding season. I have only seen them in the Kruger National Park, where they are a common resident. They can also be seen perching in trees and are known to breed in the same tree trunk in successive seasons. The next is the rather elegant looking White-faced Duck (Dendrocygna viduata) – appropriately known as Nonnetjie-eend in Afrikaans, for it can fleetingly be compared with a nun’s habit. These dark brown ducks have a white face and throat and finely barred flanks. The neck of the female is tinged with russet. Thanks to their distinctive three-note whistling call, they used to be called White-faced Whistling Ducks. Flocks of these ducks occur in open water and they nest on the ground in thick vegetation near water. I have occasionally seen them in the Addo Elephant National Park, but mostly in the Kruger National Park. The Spur-winged Goose (Plectropterus gambensis) is one of the largest waterfowl, with the males weighing up to 10Kg. While it is a predominantly black bird, its bill, face and long legs are a pinky-red. It nests in dense grass, or in a shallow scrape in the ground. 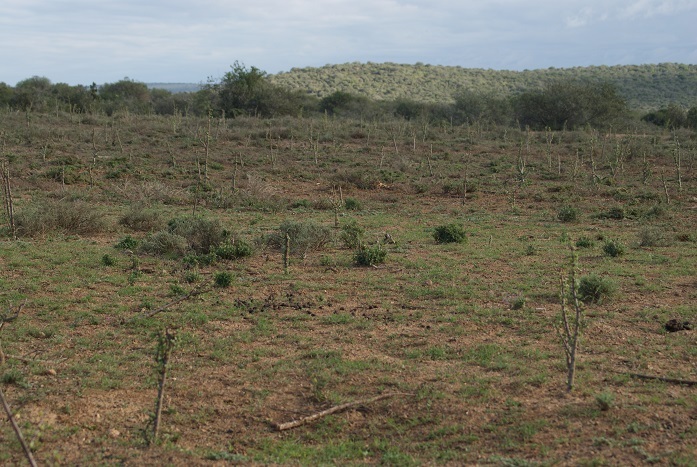 They prefer moist habitats such as dams, vleis, pans and large rivers, although fly some distance to feeding grounds. 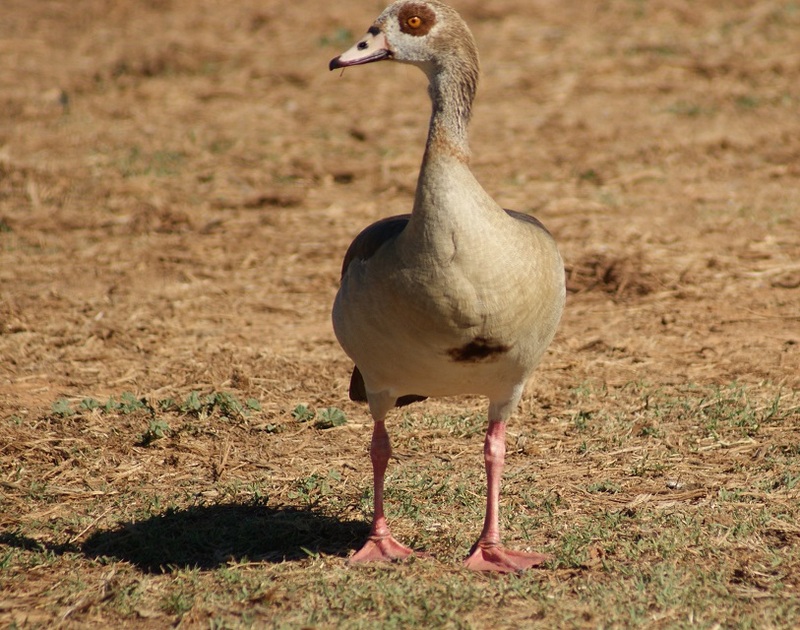 The Egyptian Goose (Alopochen aegyptiaca) has a distinctive chestnut patch on the chest (giving rise to its Afrikaans name, Kolgaans – akin to a target) and a broad chestnut rim around the eyes. They are common residents all over South Africa, frequently claiming small pools or dams for their own use and aggressively chase away others during the breeding season especially. 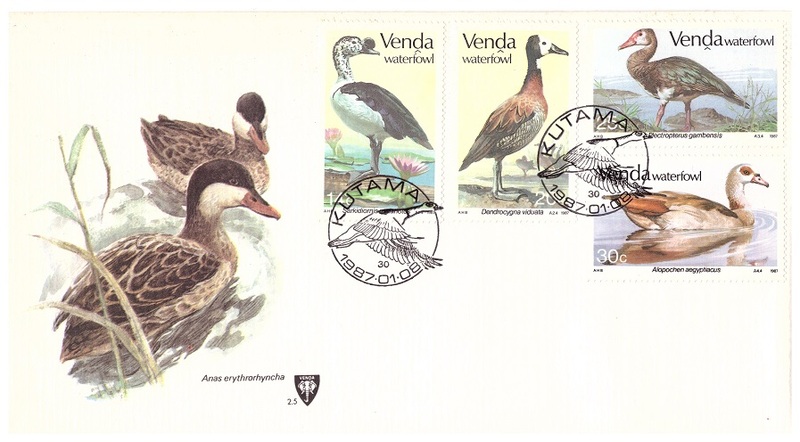 The commemorative cover features the Red-billed Teal (Anas erythrorhyncha), which is readily identified by its dark cap, pale cheeks and definitive red bill. 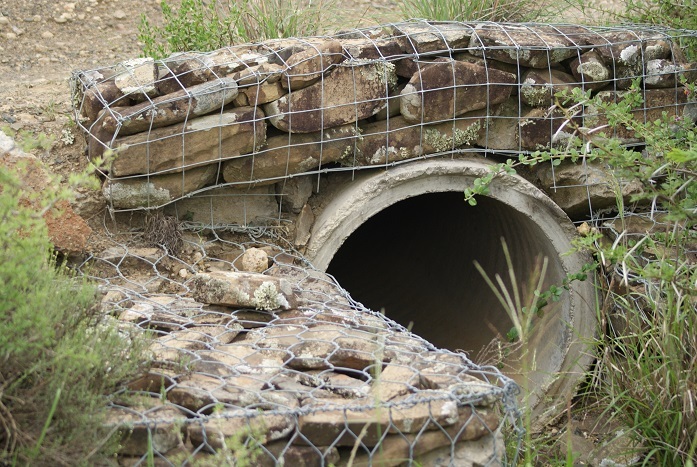 These common residents are seen around dams and waterholes all over South Africa. They usually occur in either pairs or flocks, rather than as single birds. They nest in dense vegetation close to water. It is interesting to note that the males depart before the young can fly. Reference: Complete Photographic Guide: Birds of Southern Africa by Ian Sinclair and Peter Ryan. My dearth of waterfowl photographs shows a gap that simply must be filled! 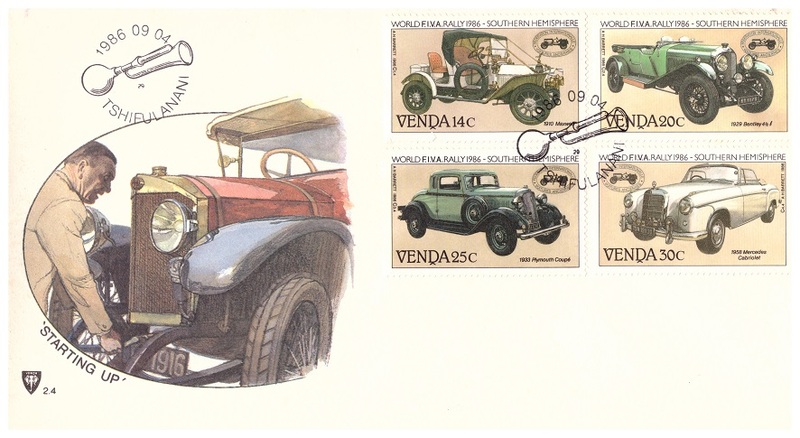 Here is something for vintage car enthusiasts: a first day cover – again from Venda – commemorating the 1986 World F.I.V.A. Rally in the southern hemisphere. There were actually two rallies organised by the international veteran car association, F.I.V.A. (Federation Internationale Voitures Anciennes) that year – one in the northern- and the other in the southern hemisphere. The route of the latter ran through the then independent homeland of Venda, with the competitors stopping over at its capital, Thohoyandou. Each of the stamps depicts an historical car: 1910 Maxwell, 1929 Bentley 4½ l, 1933 Plymouth Coupé, and a 1958 Mercedes Cabriolet. 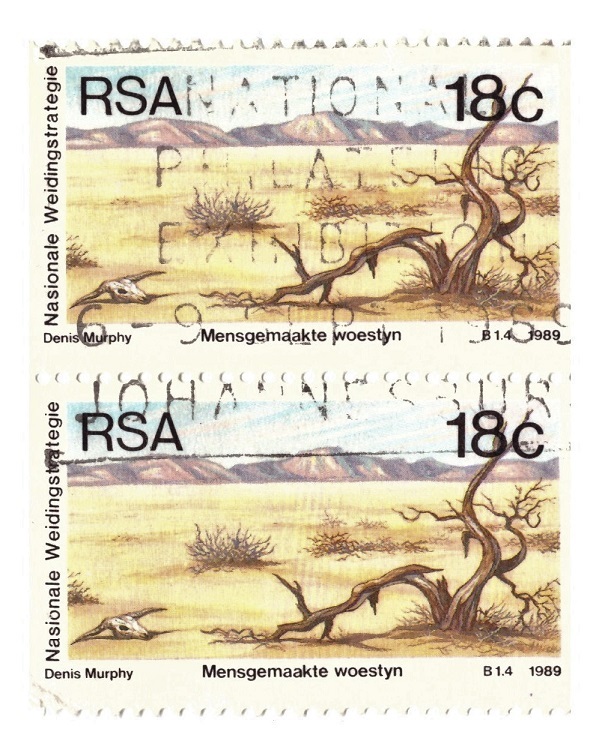 They were designed by A. H. Barrett, one of South Africa’s acclaimed stamp designers. The date of this rally was significant for a number of reasons: 1986 was the centenary of the automobile; the rally would honour both Karl Benz and Siegfried Daimler – two pioneers of the motor industry; and it was the year in which Johannesburg celebrated its centenary! 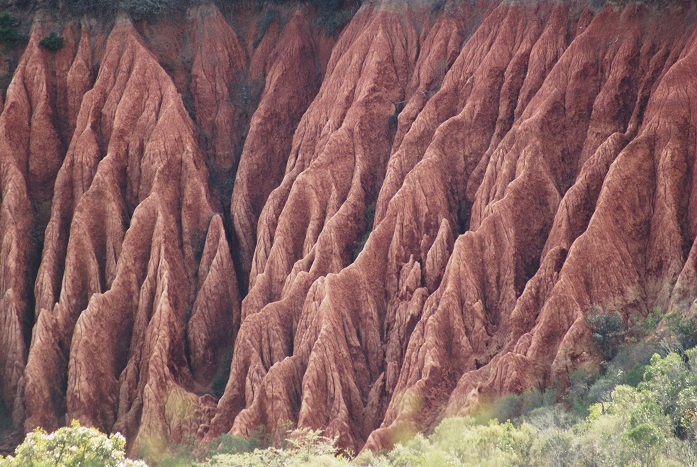 Venda, which used to be an independent homeland, forms part of the Limpopo Province, close to the border with Zimbabwe. 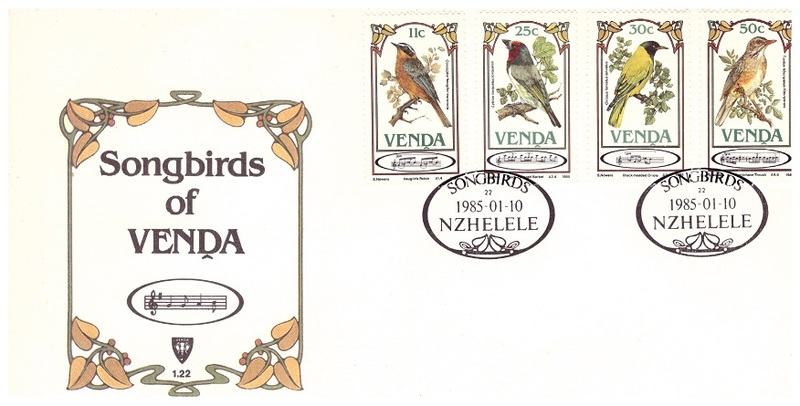 In 1985 this series of stamps was issued to highlight some of the songbirds that occur there. 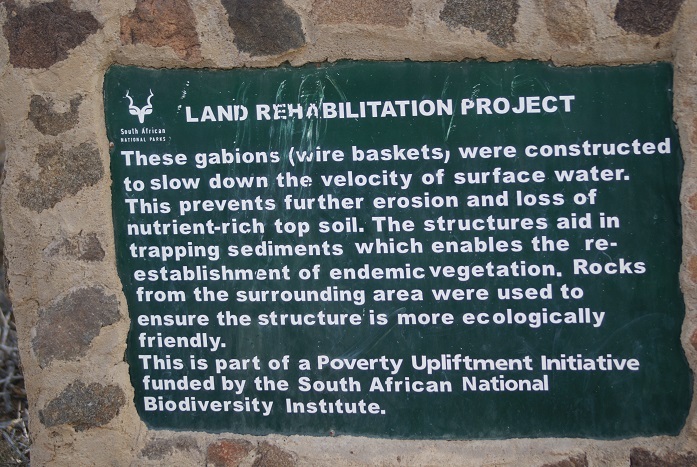 They are of special interest to me as two of them occur in my Eastern Cape Garden – much further south – while two others are similar to what occurs here. The Heuglin’s Robin (Cossypha heuglini ), now known as the White-browed Robin-Chat, is restricted to the more tropical regions of southern Africa, preferring forests and dense bush, especially near water. They often mimic the alarm calls of other birds. It is the Cape Robin-Chat (Cossypha caffra) that occurs in my garden. It too prefers thickets and forest margins and is an accomplished mimic of other bird calls. 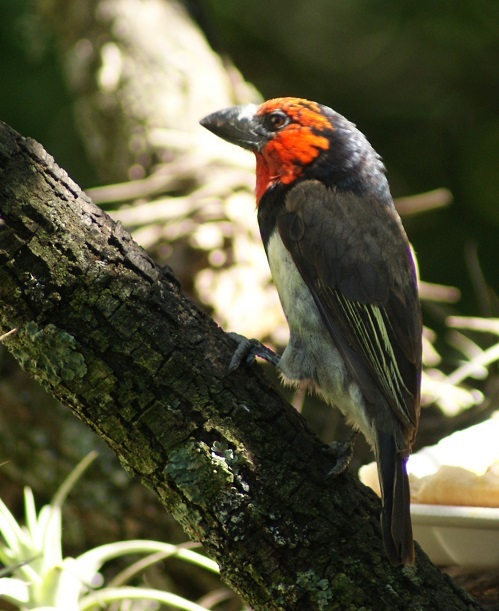 The Black-collared Barbet (Lybius torquatus) is also a common visitor to my garden, where it mainly eats fruit as well as insects. A pair will sing in a synchronised duet whilst facing each other and bobbing their heads up and down. 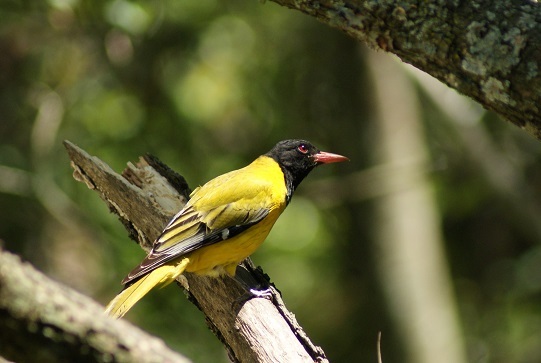 The melodious notes of the Black-headed Oriole (Oriolus larvatus) can usually be heard long before this striking yellow bird swoops down from the tree tops to eat fruit or drink from the nectar feeder. They are mostly seen in the upper branches of trees and tall bushes. We do not get the Kurrichane Thrush (Turdus libonyana) here. 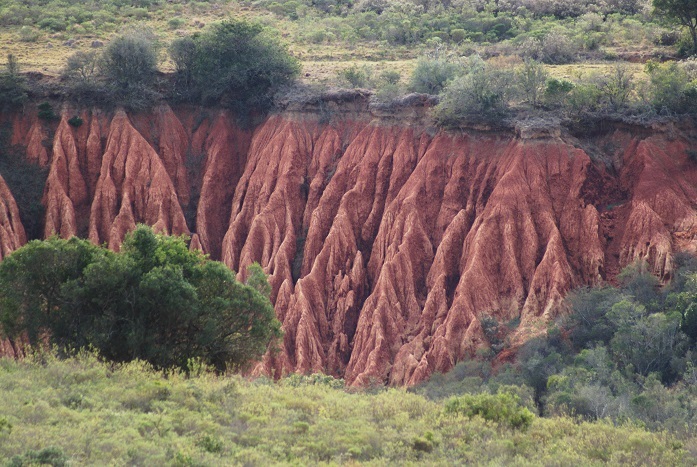 It prefers woodland regions in the northern parts of South Africa. It makes tuneful whistling notes and is also a mimic. 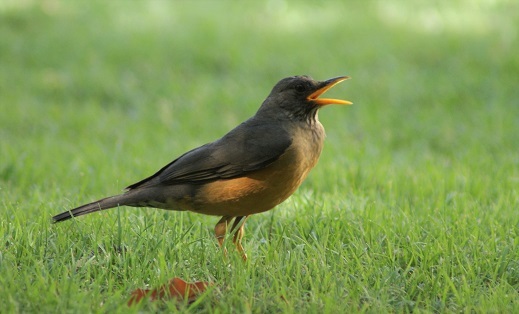 Instead, we host the Olive Thrush (Turdus olivaceus) which enjoys the many trees and bushes grown here. It makes a variety of flute-like notes which are very pleasant to listen to. It has taken me a long time to become something akin to an oenophile – not as a connoisseur you understand, but simply as someone who enjoys wine along with pleasant company. Although my parents were not regular wine drinkers, they introduced us to wine from an early age. At special dinners we were allowed what would amount to a few drops in a liqueur glass so that we could join in with the toast for whatever the celebratory occasion happened to be. I wrinkled my nose at it. Even once I had reached the legal ‘drinking age’ and was at university, I eschewed wine in favour of beer – or a soft drink! Beer tended to be far more thirst-quenching, and therefore satisfying, after a weekend spent hiking in the Natal Drakensberg or having expended a lot of energy playing in a squash tournament. I had recently begun teaching when we attended a work-related dinner. The brief look of shock on the face of our host has remained etched on my memory: I asked for a beer in response to his “What would you like to drink?” on our arrival. What a social faux pas! He politely handed me a beer in a tall glass with a narrow base and only then did I notice that the men were drinking theirs from beer mugs and all of the other women present were delicately sipping white wine! To my uninformed eyes it looked such an elegant drink. I felt very raw and unsophisticated and allowed my beer to last a very long time. White wine still tends to have a sophisticated air about it. I entered the ‘adult’ social world when ‘wine rules’ were still strictly adhered to: white wine with fish and chicken; red wine with beef and lamb. The prevailing custom also seemed to be that women had white wine before dinner. My problem was that I simply didn’t like the taste of white wine! I can no longer remember when I was introduced to red wine. For decades however, it has been my preference: robust, dark red, and not sweet. Believe me, I tried the white varieties now and then but, compared with red, I didn’t enjoy either its bouquet or its taste. Red was the way forward and that choice sometimes made me feel awkward during early adulthood. An example of this is a formal dinner we had been invited to. Our hosts had spared no detail with either the table settings or the menus. I did not miss the slight lift of an eyebrow, however, as our host filled my glass with red wine – all the other women present had opted for white! Happily, times have changed and now we can choose white, red, or rosé without anyone turning a hair. We can now actually enjoy being an oenophile [from Greek oinos (wine) and –phile (love)] without fear of falling foul of any ‘laws’ of etiquette. Price and occasion still determine my range, although I admit to shifting the limit as I age and my palate becomes more appreciative of the intricacies of wine. I am also happy to choose wine according to the labels; I have become familiar with different types and brands; and I regularly take note of ‘good’ wines tasted elsewhere. 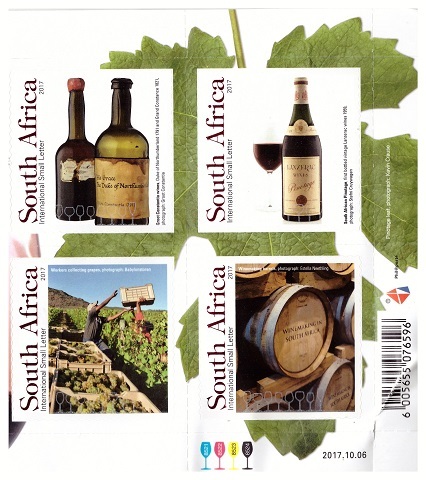 Last year the South African Post Office commemorated the local wine industry by issuing a set of five small international letter rate stamps on 6th October 2017, designed by Rachel-Mari Ackermann of the SA Post Office. 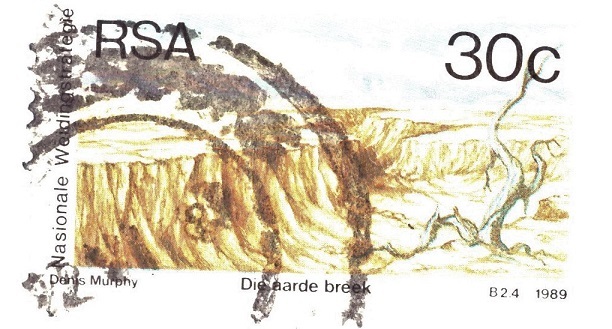 I can only show you four of them: the missing stamp depicts Groot Constantia, the oldest wine estate in South Africa. The stamp on the top left shows the Groot Constantia wines, Duke of Northumberland 1791 and Grand Constance 1821; next to it is the famous South African Pinotage wine – the first bottled vintage Lanzerac wines 1959; below left shows workers collecting grapes at Babylonstoren; and lastly a collection of wine barrels. White wine? I admit to only venturing down that path about four years ago. I still take tentative steps, many of them experimental, and take careful note of what works for me or not. I am gradually gathering a repertoire of white wine I can serve with confidence. To me, white wine is best enjoyed in summer – they still battle to find a place in my winters. 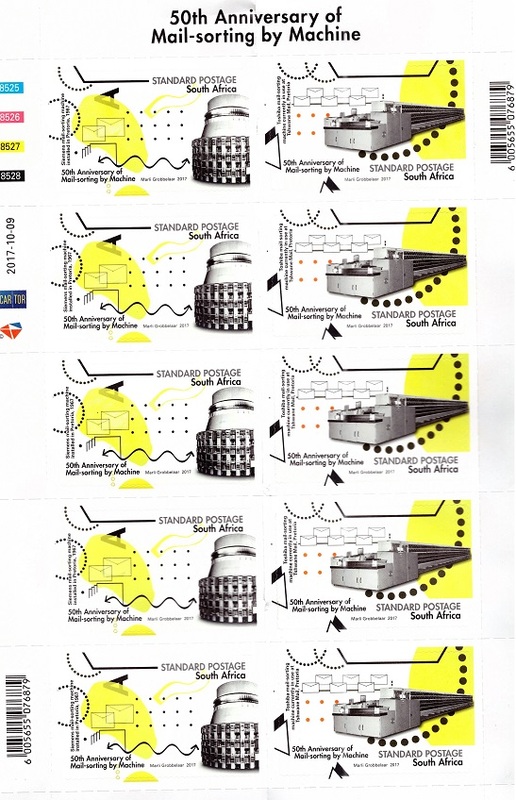 Isn’t this typical: on the 9th October 2017 the South African post office issued these stamps to commemorate World Post Day as well as the 50th Anniversary of Mail-sorting by Machine – today (2nd May 2018) is the first time I have been able to purchase them. I haven’t seen them on any envelopes in the interim either! As you might be able to make out in the fine print, the artwork was done by Marli Grobbelaar, then a student at the Cape Town Creative Academy. The installation of the Siemens machine at the Pretoria sorting office in 1967 was so successful in speeding up the sorting process, compared with the manual sorting, that it was not long before machines were installed in Johannesburg, Cape Town and Durban. One of the touted benefits of the time was the reduced number of returned items due to the greater accuracy when compared with manual sorting. Bear in mind that postal codes were only introduced in South Africa on 8th October 1973. The second stamp depicts one of the Toshiba sorting machines currently in use at the Tshwane Mail Centre in Pretoria. Mail-sorting machines are not the most scintillating objects to depict, so hats off to the artist. Does the less-than-attractive aspect of the stamps have something to do with the tardiness of them reaching outlying post offices? It is great that the post office has something to celebrate. Now, if only that could extend to actually delivering the mail – ALL of it – on time!